I didn’t used to ‘get’ self-care ideas. Not because I didn’t need them, or didn’t like practicing self-care. But because I felt like half of the self-care ideas out there weren’t made for people like me. Take a bath? I don’t have a bathtub. Try an acai bowl? A bit pricey for me. Candle-lit yoga? Sounds like a fire hazard (especially when you take my coordination level into account)! Only in the last year or so have I found self-care ideas that work for me. I think on some level, I hadn’t realized that self-care practices are as unique and varied as people are. I only saw people talk about bath bombs and crystals, so I thought that’s all there was to self-care. But, newsflash: self-care can be ugly, messy, and free. It doesn’t have to be beautiful, cost a ton of money, or fit your Instagram theme. 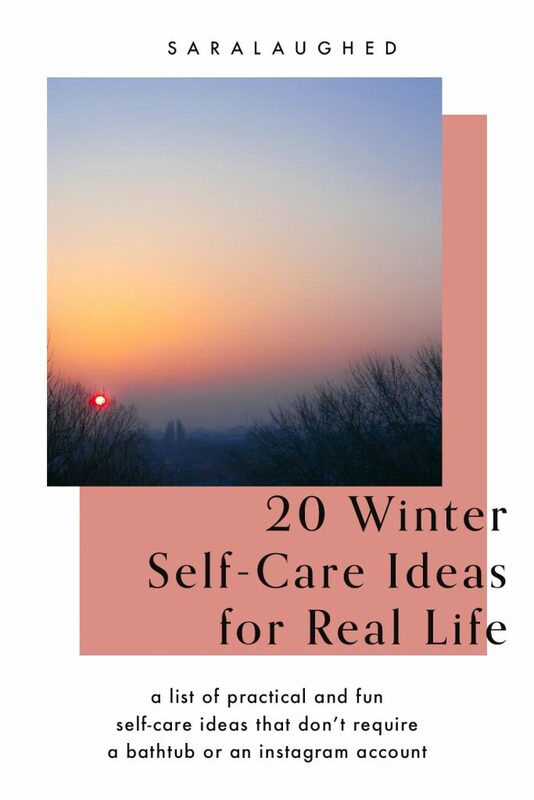 With that in mind, I’m sharing a list of 20 winter self-care ideas that actually work for me. They may not all work for you, but I encourage you to try them out and experiment with what winter self-care looks like for you. 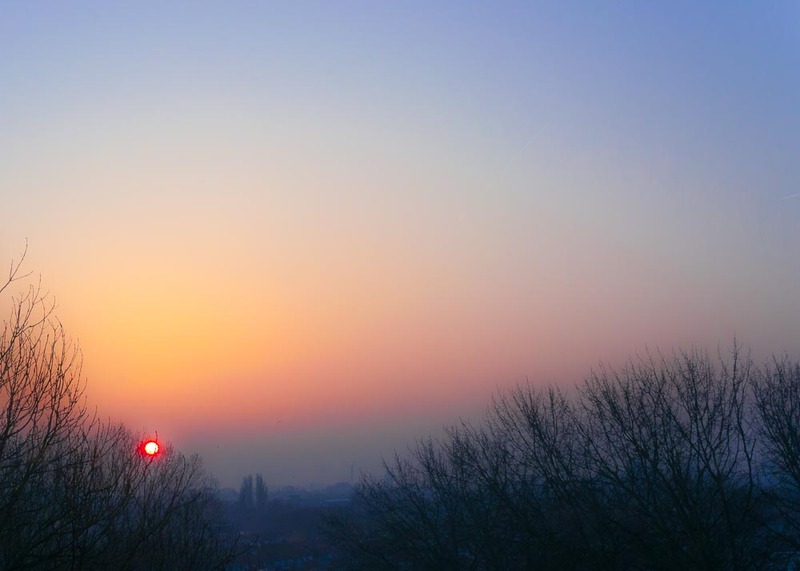 Winter is the time of year when our days are shorter and our nights seem to start at 5PM. One of the benefits of that, though, is how easy it is to get up for the sunrise. Rather than resisting the natural gifts of this season, what if we give in to them? Where I live, the sun rises around 6:45 or even 7AM right now, meaning that if I go to bed and wake up just a smidge earlier, I get to wake up alongside the world. For me, this is winter self-care is a great way to feel in tune with nature and have a slow start to my day. Winter tends to be hardest on those of us with dry or sensitive skin. One thing that helps me stay warm, improve my circulation, and care for my dry skin in winter is dry brushing. Using a large brush, gently brush your whole body in short strokes towards the direction of your heart. Proponents of dry brushing say it helps support the lymphatic system, but I just find that it helps me feel calm and take care of myself as part of a winter self-care routine. Be sure to moisturize after! One of the self-care ideas that’s made the biggest difference in my life is reducing coffee intake. I find that tea has been a great replacement with less caffeine. The great thing about tea is that there are so many flavors to try, so you get variety without the jitters. You can even make your own if you find that fun! 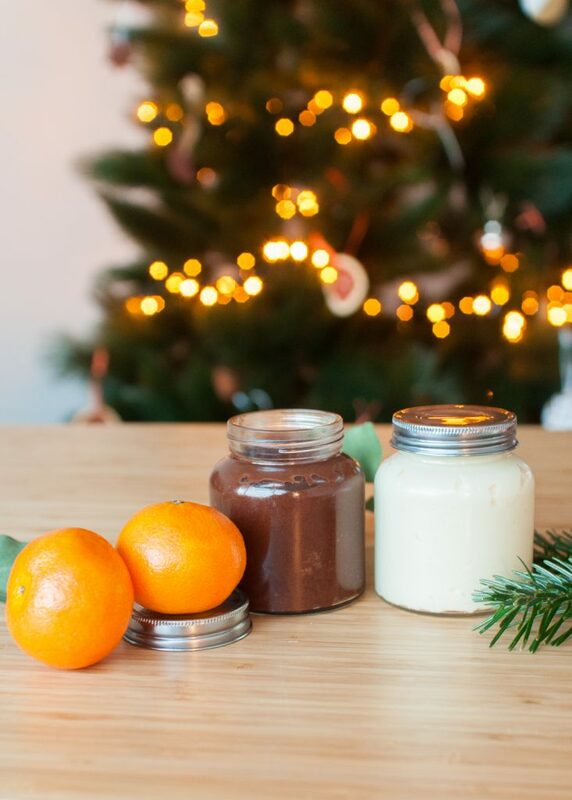 Last year, I wrote a post on how to make your house smell like Christmas on a shoestring budget. Basically, dump some citrus peels, cinnamon, cloves, and star anise (if that’s your thing) into a pot and boil. 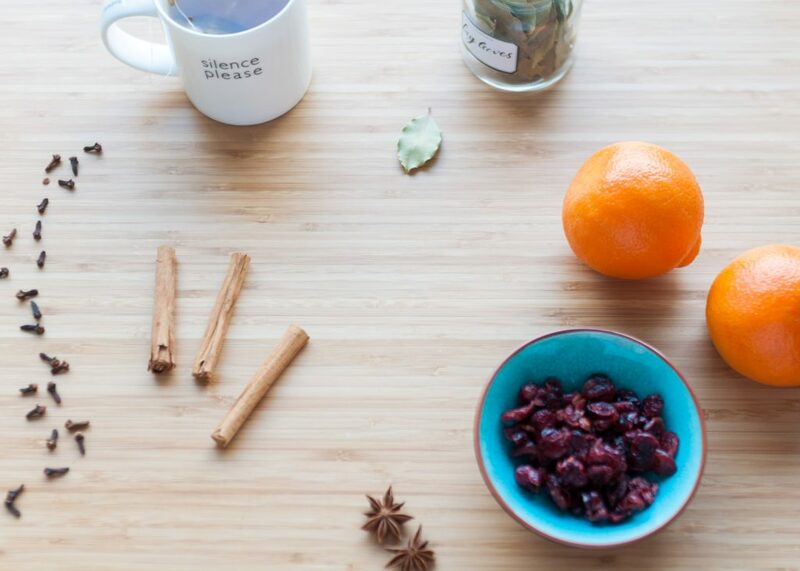 Your house will smell like winter magic for hours. Check out the post here. Speaking of heavenly scents, I know that essential oils are a big talking point right now. Personally, I don’t believe in the medicinal claims of essential oils, but after buying a diffuser a few years ago, I find their scents to be calming and pleasant. 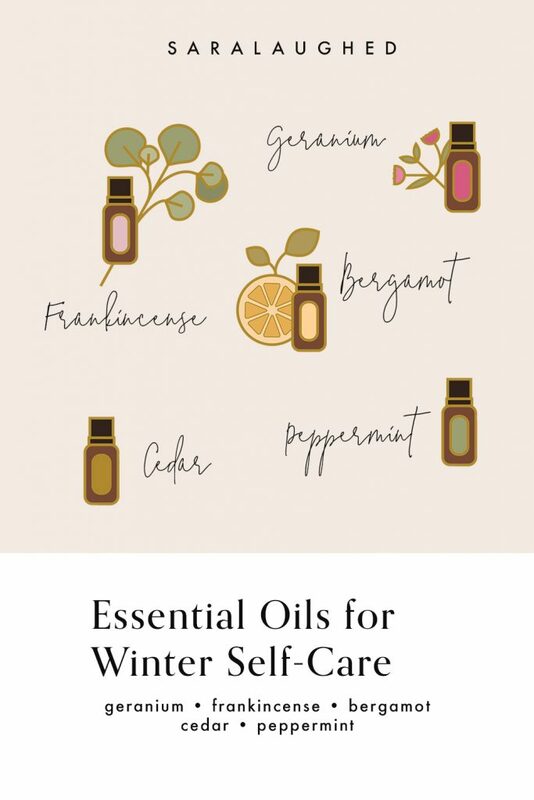 Scents that are especially lovely for winter self-care are geranium, frankincense, bergamot, cedar, and peppermint! Massage is a wonderful way to relax, but I don’t have a extra $40 lying around to spend on one every other week. Instead, I’ve learned to give myself massages. Foot massages are especially lovely in winter, when our feet tend to get cold, or (if you’re like me) take a beating from walking around in snow boots all day. Try this tutorial from an exercise physiologist on how to give one to yourself. This is one of the self-care ideas that I keep going year round. Skincare is a great way to care for yourself, and it doesn’t need to be expensive. Last year I wrote this post on how to make 6 winter scrubs and lotions for your body, and I also did a post on how I care for my dry, sensitive skin in winter. Check out either of those posts, or do research online for your own skincare needs. I know winter is the best time of the year to huddle under a blanket and hide from the outside world. But winter is also lovely for time outside, spent savoring the stillness and sounds of nature that are unique to this season. Spend some time outside soaking up the limited winter sun, and, when you’re done, go back and enjoy your warm blankets. I always think I need less water than I do. Make hydration a habit this winter by filling your reusable water bottle a few times throughout the day. Your skin will thank you! Each season has a special thing to teach us, and winter’s theme is hidden growth. This is a time to turn inward and listen to yourself. Reflect on where you are and where you want to be. Pick up a weekly reset ritual, if you don’t have one already. This one by MuchelleB got me started! Most people, myself included, are not in a place to buy huge amounts of organic fruits and vegetables every single week. I get that! But one way to take care of your body and save on your weekly grocery bill is to eat what’s in season. 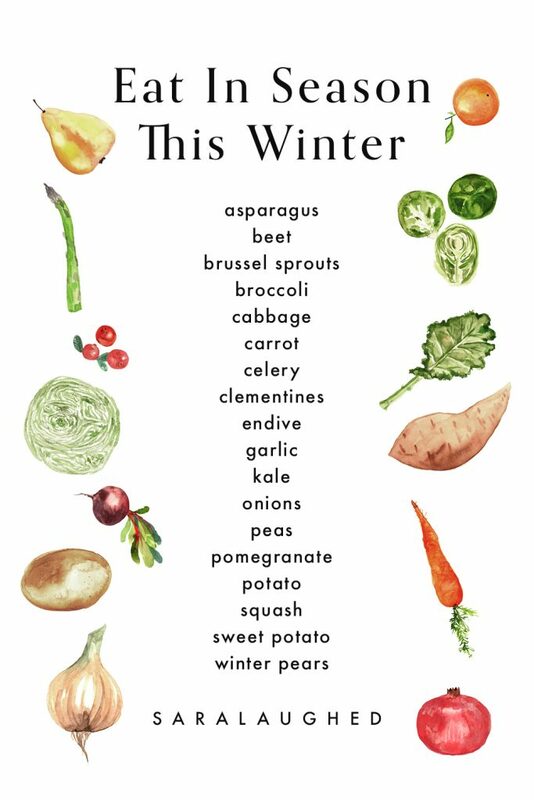 These fruits and vegetables, including squash, potatoes, sweet potatoes, asparagus, clementines, and some pears, will be cheaper than usual this season and they’re exactly the kind of rich, nutrient-dense foods your body needs in winter. Whether you already love ASMR, like me, or you think it’s a little creepy and weird (like most of my friends), try these relaxing audios this winter. I love Gentle Whispering. Whether or not you like to spend time in the kitchen, winter is a celebration of sweet, sugary baked goods. Try to participate yourself this year by baking something you love as winter self-care. Think of a favorite food and search for a recipe online. Not all self-care has to be soft and gentle. It can be fun and lively, too! Treat yourself with a fun craft for winter self-care this season. I love these easy moon phase ornaments I made last year! All you need is clay, ribbon, a glass, and a butter knife. Winter is also the season that brings us the very best bad Hallmark movies (my fiancé came up with the amazing term Jollywood for the cheesy Christmas movie industry). Cozy up, turn on Netflix or your favorite streaming site, and enjoy the carousel of Christmas clichés. 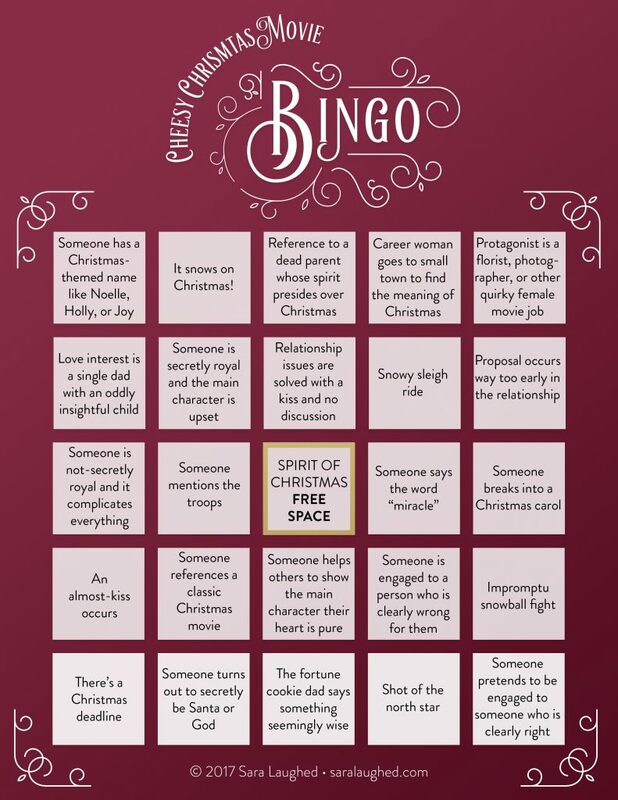 And if you feel like it, play Cheesy Christmas Movie Bingo with me. Shots optional. Whether you’re religious, spiritual, or somewhere in between, winter is a great time to focus inward and outward with a spiritual practice. Since this season gives us a great opportunity for reflection and renewal, take it up on its invitation with prayer, meditation, religious services, or rituals that are meaningful to you. Nature is of the areas where I need winter self-care the most. 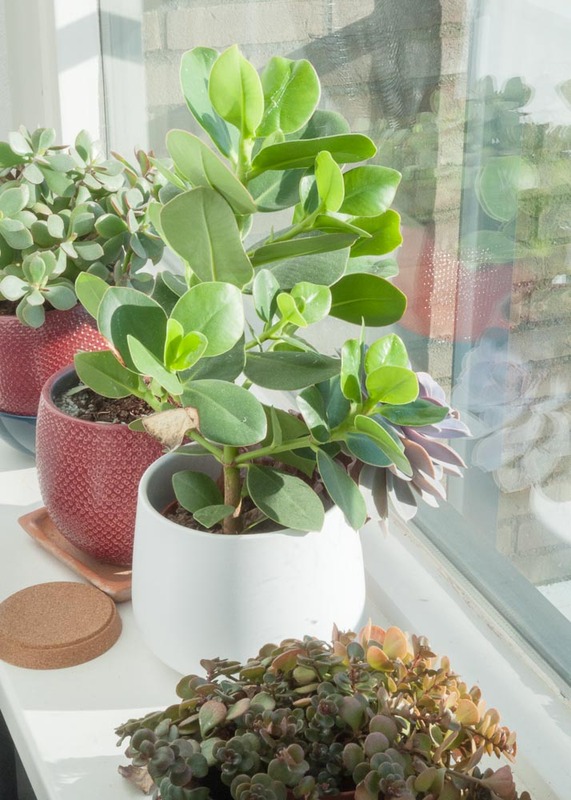 If you, like me, miss the plants, flowers, and full trees of the rest of the year, bring some of that plant life indoors by buying a few indoor plants. We have several succulents and a large monstera plant that brings a lot of life and color to our living room. Winter brings us lots of dry air, so if you want to take extra care of your health and lungs, this is a great season to invest in a humidifier. You can also get an air purifier if you live in an area whose air quality concerns you. Shorts are for summer, knee-high boots are for fall, and as far as I’m concerned, sweatpants and hoodies were made for winter. You don’t need to look sloppy this season, but during a season that’s hard on our bodies and our minds, focus on making yourself as comfortable as possible. I love fluffy socks, comfy sweaters, and leggings in the cold winter months. Focus on what cozy and comfortable mean to you. These are my top 20 winter self-care ideas, but if you want more, check out my post on enjoying winter once the holidays are over! Whether you find that winter self-care means cozy clothes or active adventures, I hope these ideas have inspired you to be kinder to yourself this season. If you have other ideas for winter self-care, please let me know in the comments! Happy (self) caring. I love ASMR too! Glad I’m not alone! Hi! 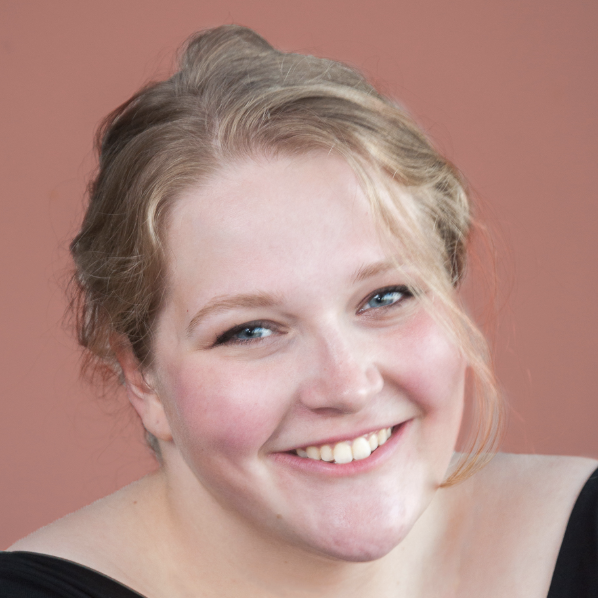 I just stumbled onto your blog, and I love it. I’m especially inspired by the idea of incorporating liturgical calendar rhythms into modern life, in a non-fundamentalist way that still embodies Christianity. I can’t wait to dig in further and read more of your insightful writing. 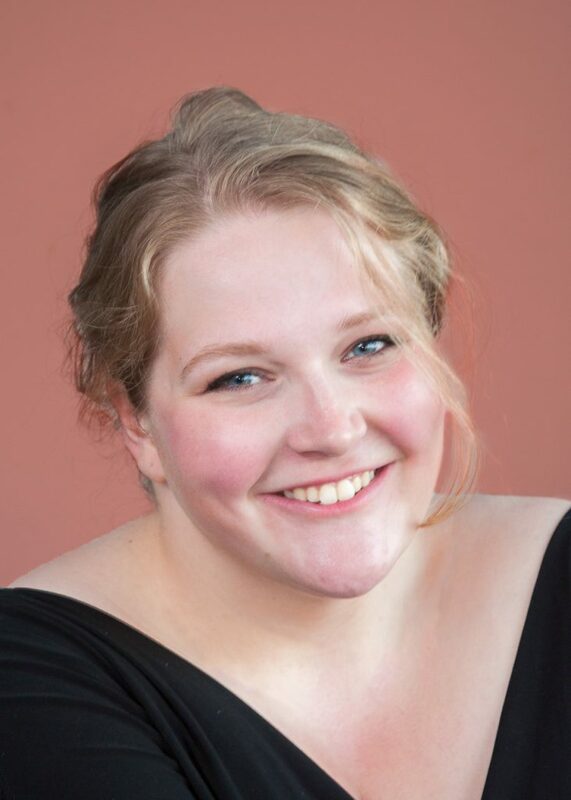 Thanks for writing your blog! It’s really helpful reading your blog. I can connect with it. The most important thing is that it’s REAL, nothing superficial. Thank you.